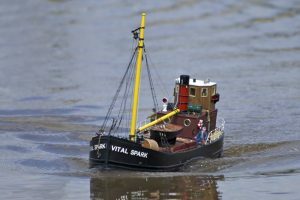 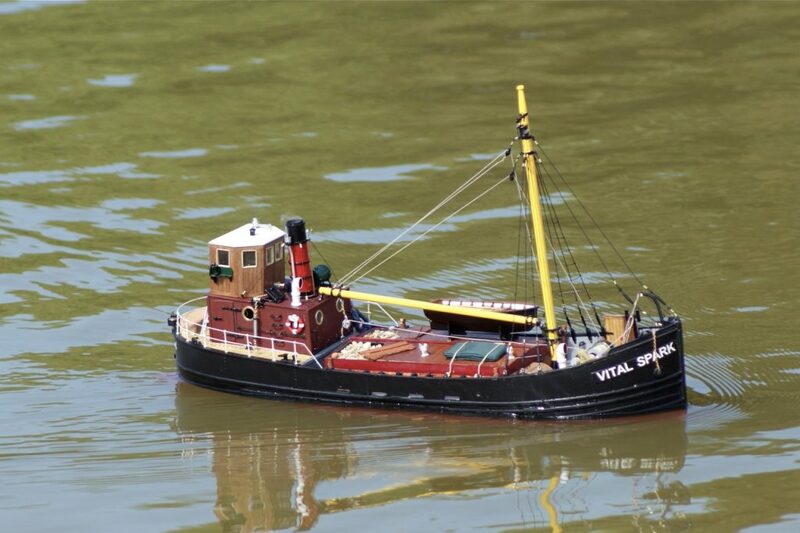 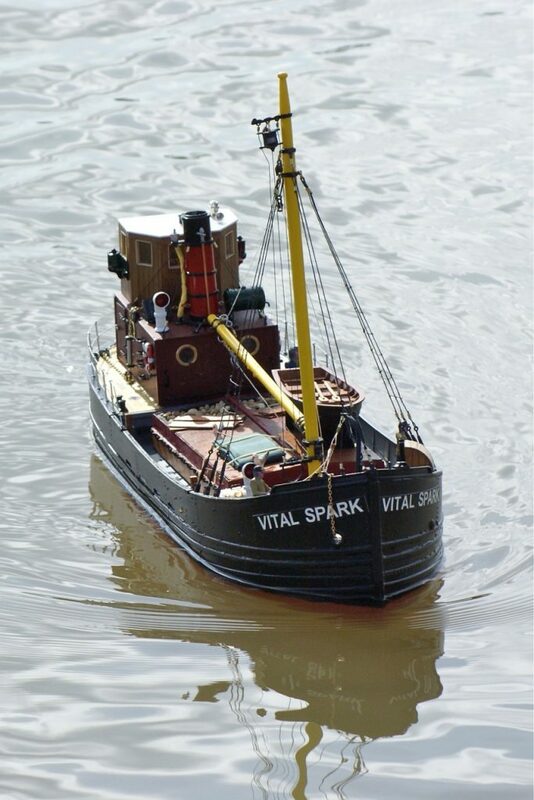 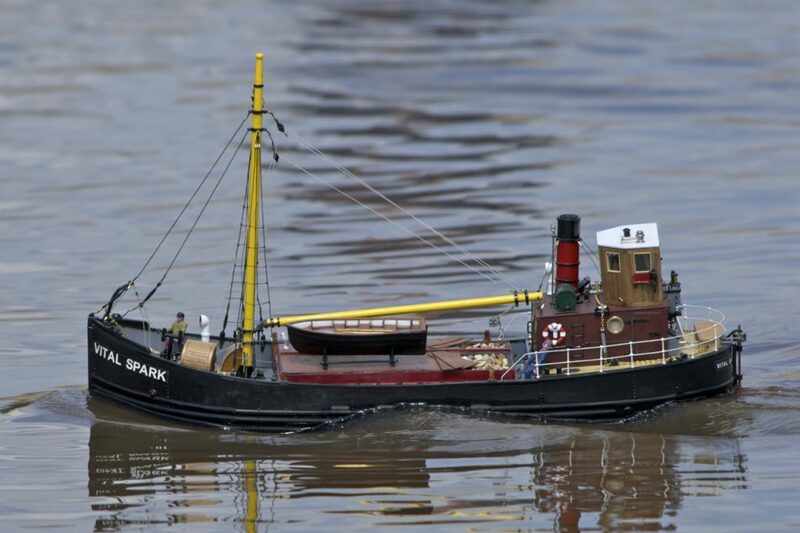 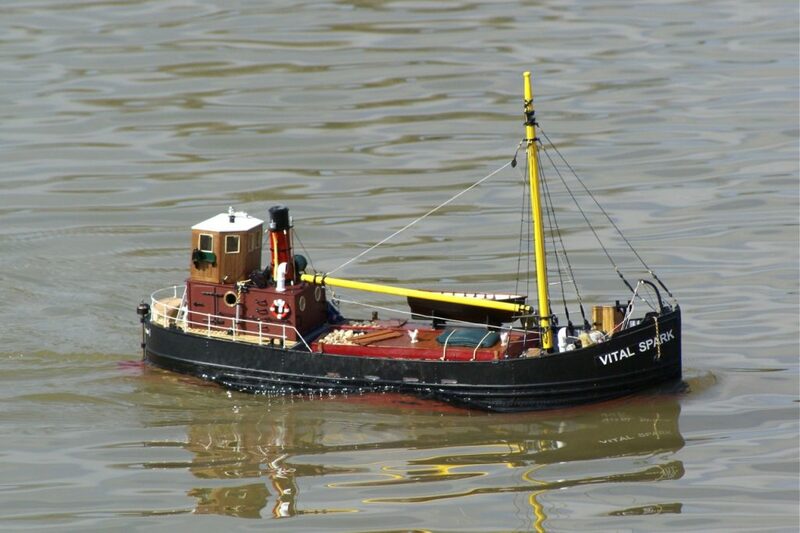 Vital Spark, Clyde Puffer; Model: John Cooper. 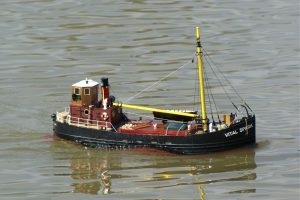 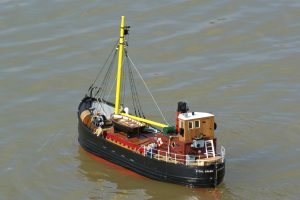 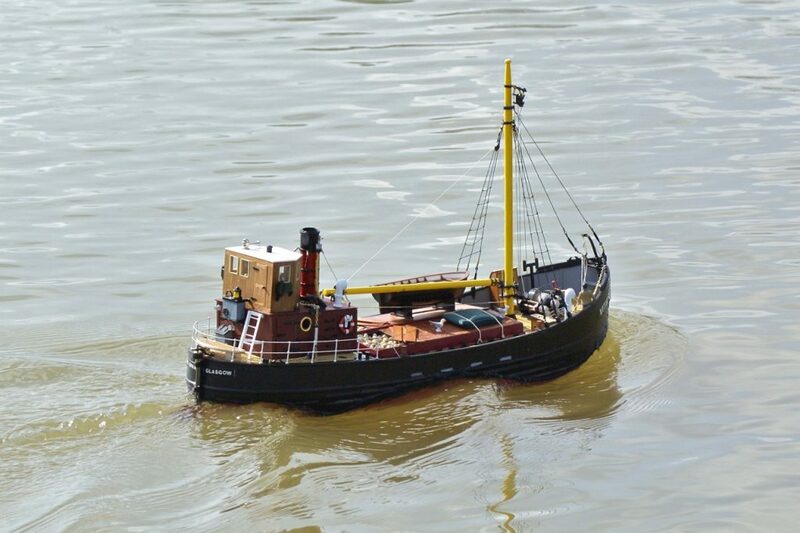 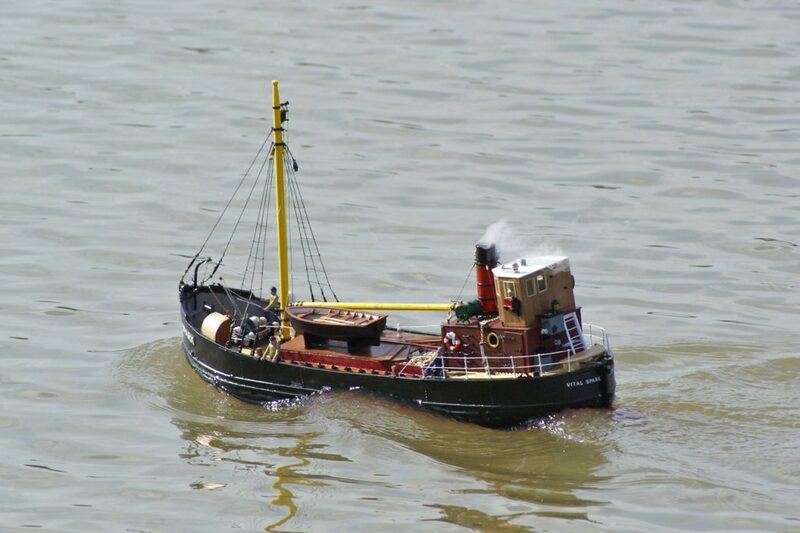 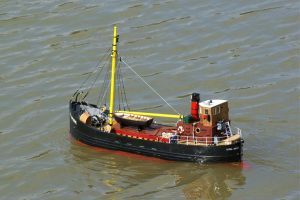 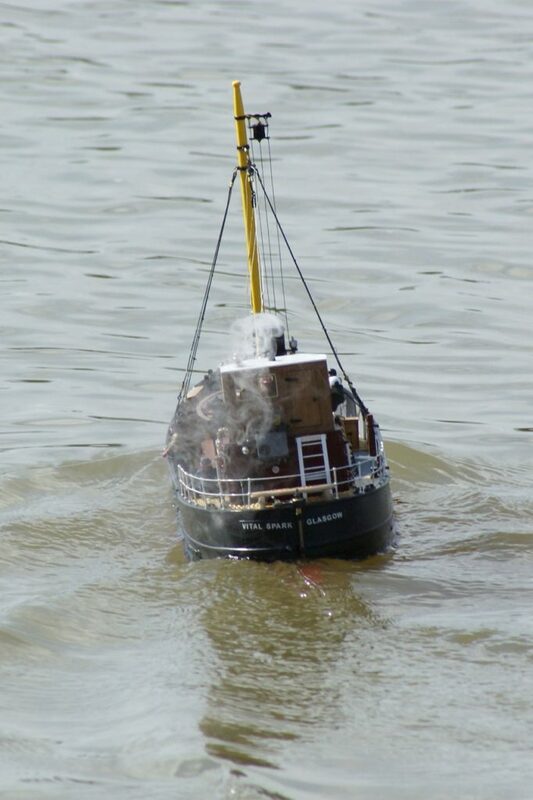 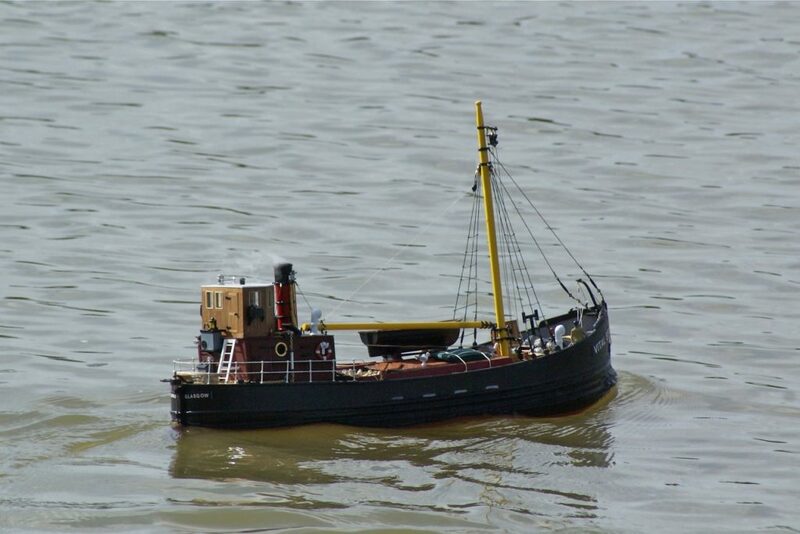 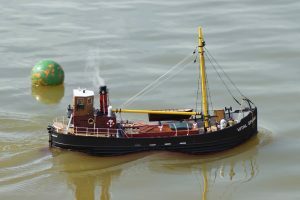 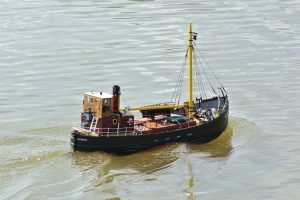 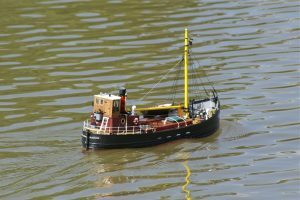 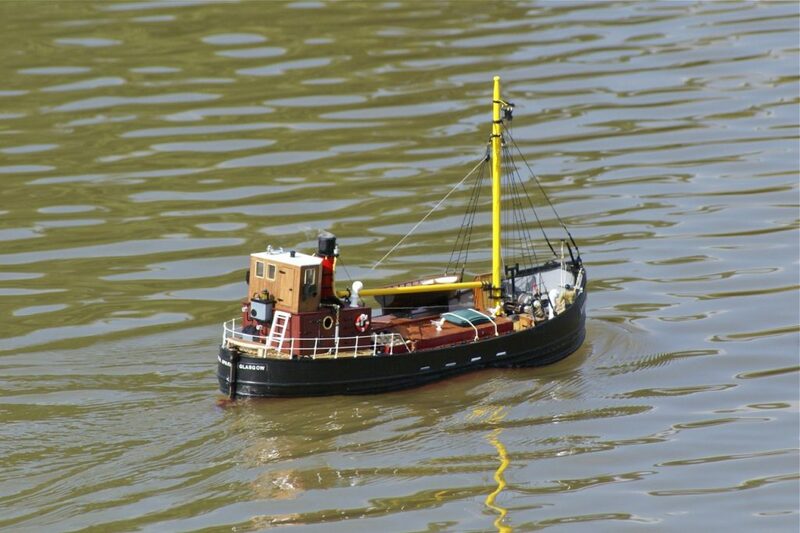 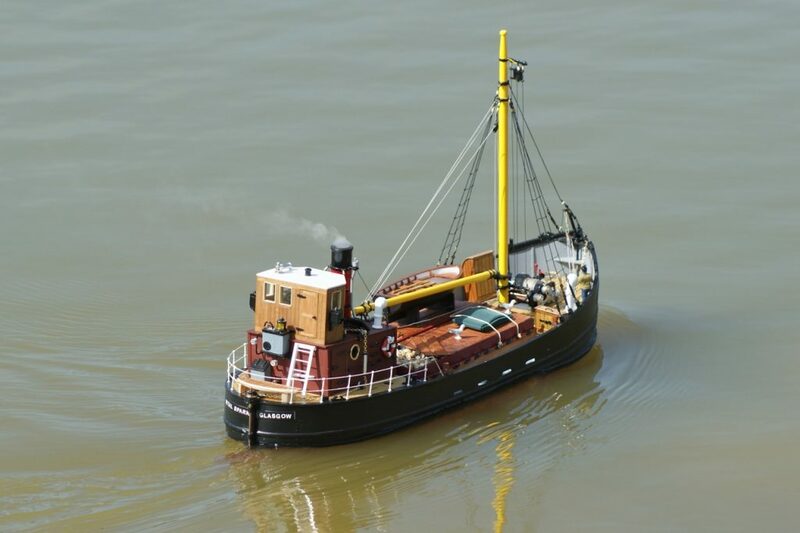 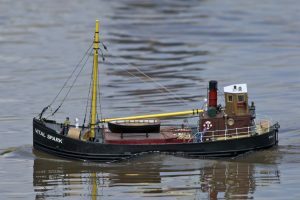 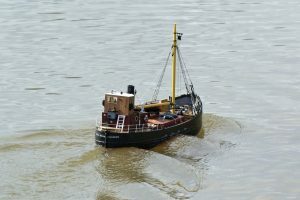 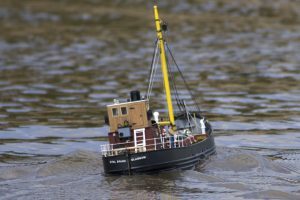 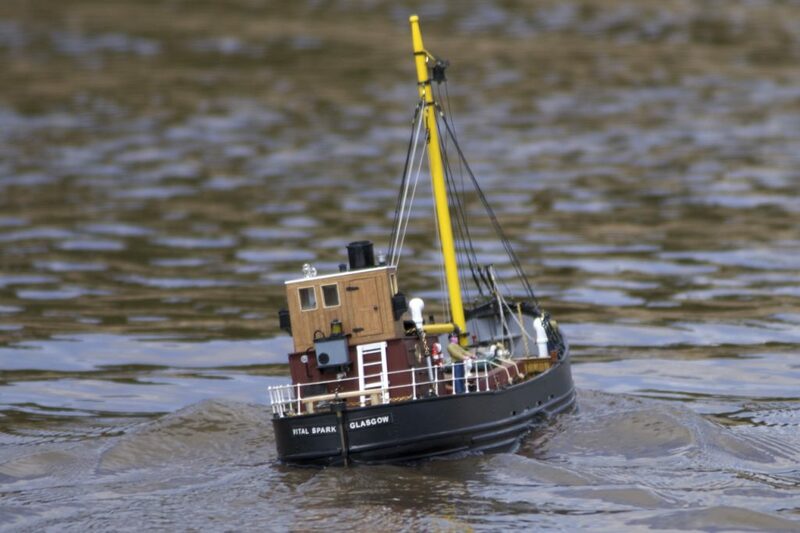 “One hundred years ago Neil Monroe wrote articles for the Glasgow Evening News, featuring the puffer the Vital Spark and the exploits of its crew: Master Mariner Para Handy, the engineer Macphail, the mate Dougie, Sunny Jim and the Tar, during the time when puffers regularly sailed between the West Highland ports and Glasgow. 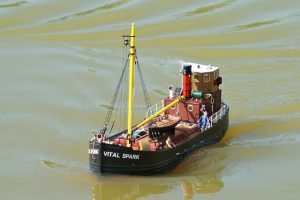 “A short series of these stories were shown on television during the 1960’s and a paper back book entitled “Para Handy” and featuring many adventures aboard the Vital Spark is available from book shops (Ref.ISBN 1-84158-227-1).